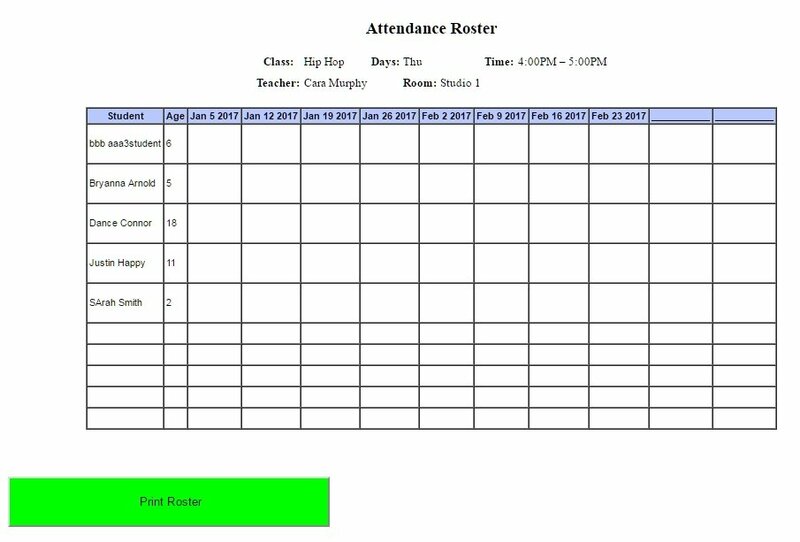 The Class Manual Attendance Report is used to print out a roster for a class to mark attendance on. This information can then be put into CompuDance at a later time if you chose. Select the Season of the class you wish to retrieve. Then enter the date range of the classes to be dated in the column headers. You will have 10 dates allowed for each class. If your range does not include 10 dates for a class, the remaining spots will be left blank or allow write-in dates. 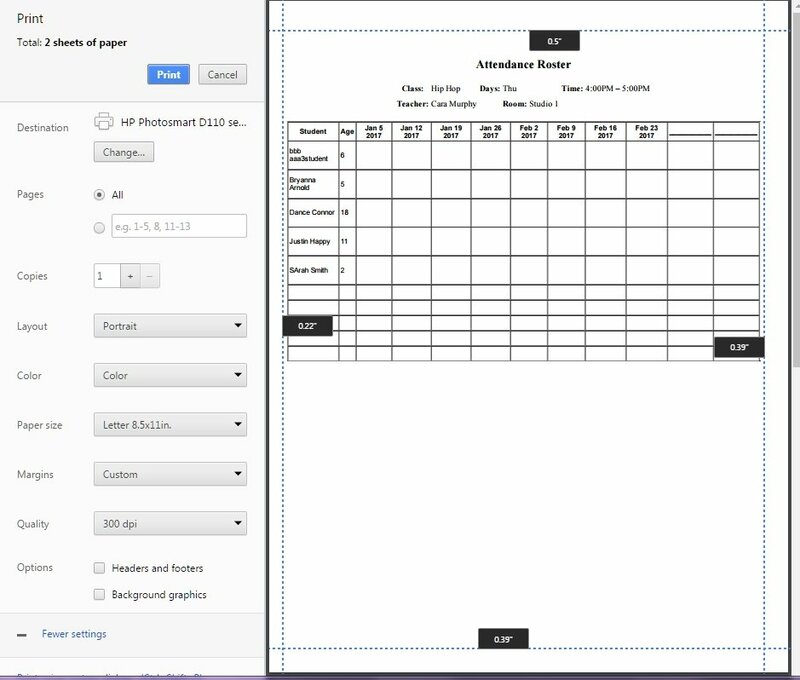 If your date range allows more than 10 dates for a class, the printout will only include the first 10 dates. Click Find – You can filter for a specific class, teacher, room or day of the week. Select the classes you wish to create Rosters for. You can select them individually or use the select all box on the top left corner of the column header. You will be presented with a webpage of the classes selected. Scroll down and make sure your information looks correct. You will then see the Google Chrome Print Preview window appear. It will page break per class. You can use the preview options to change the page layout, Margins and other options. To see more options click More settings. Print Rosters with Phone Numbers, Date of Birth or both. Check the box/boxes next to the Show Phone & Show DOB to include that information on the rosters. Examples below.